Welcome back to another edition of AFA's Now Streaming, our regular round-up of animation (and animation related) additions to Netflix. 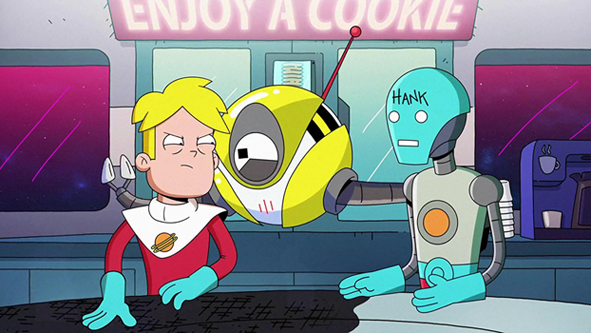 There's a whole host of Netflix Originals, including Cupcake and Dino, Captain Underpants (both all regions) and sci-fi comedy Final Space (everywhere except the US). Later in the month, there's more Voltron and Matt Groening's eagerly anticipated new series Disenchantment makes its debut. Aldnoah Zero Mecha sci-fi anime. An American Tale Don Bluth's much-loved 80's family feature. Bolt Disney's CG family adventure. Cupcake and Dino: General Services Netflix original animated series. 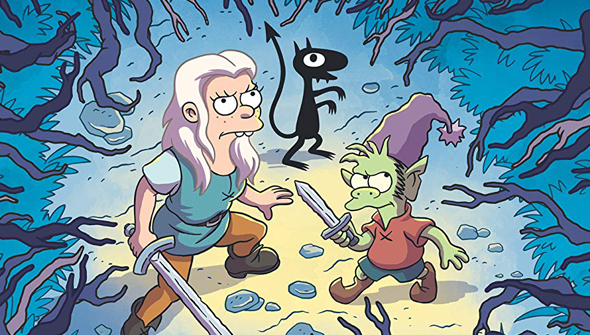 Disenchantment ** Available From August 17 ** Matt Groening's fantasy comedy. Dr Seuss' The Lorax Dr Seuss adaptation. Duck Duck Goose Feather-brained family film. Epic Tales Of Captain Underpants, The Small-screen adventures with the DreamWorks hero. Fate/Grand Order- First Order Anime. Fate/Stay Night Unlimited Bladeworks Action anime. Flavors Of Youth Japan/China co-production from the studio behind Your Name. Gnomeo And Juliet Garden set retelling of the Shakespeare tale. Godzilla 2: City On the Edge Of Battle. Second animated outing featuring the famous giant lizard. Harvey Street Kids. DreamWorks Animation's latest original series. Home: Adventures With Tip an Oh [Season 4] DreamWorks spin-off series returns. In This Corner Of The World Moving historical anime feature. Our review. Justice League: Dark DC Elseworlds movie. Land Before Time, The Don Bluth's dino tale. Loving Vincent Visually stunning Oscar-nominated biography of the last days of Vincent Van Gogh. Read our review here. Mary And The Witch's Flower Debut feature from Studio Ponoc. Rango Animated Western from Gore Verbinski. Rise Of The Guardians Pete Ramsey's DreamWorks Animation gem. Song Of The Sea Tomm Moore's Oscar-nominated masterpiece. Storks Warner Bros Animation Group's underrated family comedy. Sword Gai: The Animation [Season 2] Action anime. White Fang CG animated adaptation of Jack London's novel.